As we witness the shifting of old forms that once stood as the foundation of our daily lives, parents who must prepare the next generation to meet this changing world;have more questions now than ever before. Although our culture and the nature of the family may be changing, the atmosphere in the home continues to create the foundation of a child’s life. In Heaven on Earth, parent and educator Sharifa Oppenheimer reveals how to make the home environment warm, lively, loving, and consistent with your highest ideals. 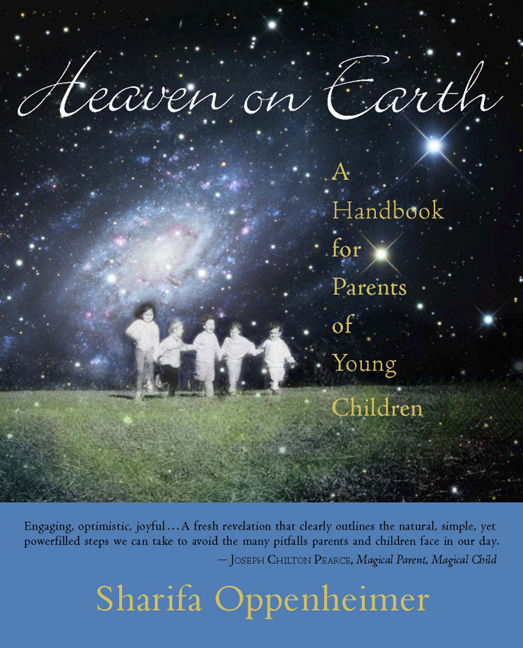 Heaven on Earth balances theoretical understanding of child development with practical ideas, resources, and tips that can transform family life. Readers will learn how to establish the life rhythms that lay the foundation for all learning; how to design indoor play environments that allow children the broadest skills development; and how to create backyard play spaces that encourage vigorous movement and a wide sensory palette. Through art, storytelling, and the festival celebrations, this book is a guide to build family culture based on the guiding principle of love. Such a culture supports children and allows the free development of each unique soul. Here is the perfect companion to Sharifa Oppenheimer’s Heaven on Earth: A Handbook for Parents of Young Children, which answers the initial and most pressing questions of new parents of young children. Inevitably, a big decision arises: How and where should my child be educated? 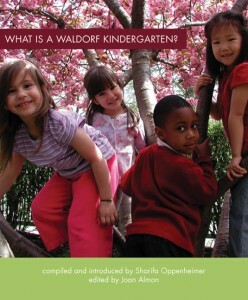 The authors featured in What Is a Waldorf Kindergarten? describe from experience the numerous aspects of the “Steiner school” approach to early childhood education. Readers will learn what lies behind the Waldorf kindergarten methods and the practical ways in which it is applied by teachers in the classroom. Throughout the book, the reader is guided by the sure and compassionate hand of longtime kindergarten teacher Sharifa Oppenheimer as she introduces the authors and each topic. Given the confusing array of educational approaches available today, this book serves to clarify one of the most dynamic and successful approaches to beginning young children on the path of education and life in the world. An invaluable resource for parents of young children!